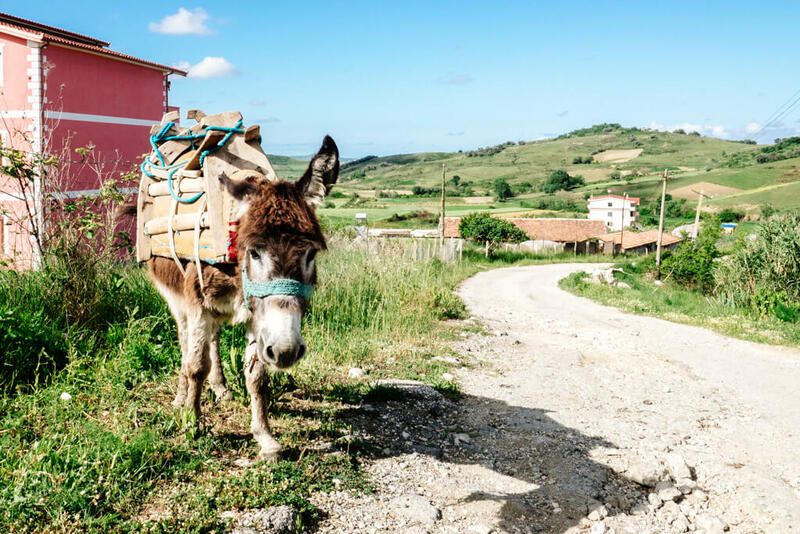 Albania is an unknown destination for so many people but it needn’t be. It’s a beautiful country with a fascinating history and culture dating back thousands of years. It’s a safe and affordable destination and with more airlines offering cheap flights, it’s about to become much more accessible. Last updated: 31 January 2019. 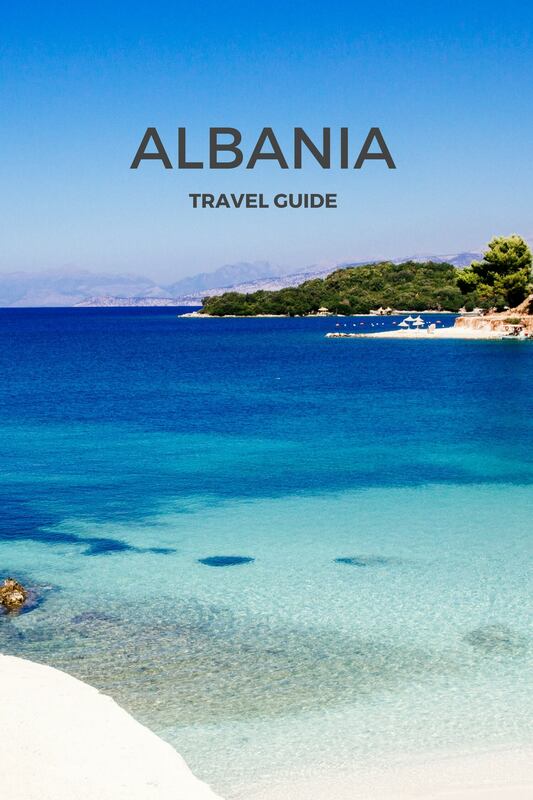 I visit Albania most years and although things change rapidly, I’ve updated this guide for 2019. If you see anything which is no longer correct or if you have something to add, please let me know via Instagram. People often ask me what I like about the country and it’s simple. 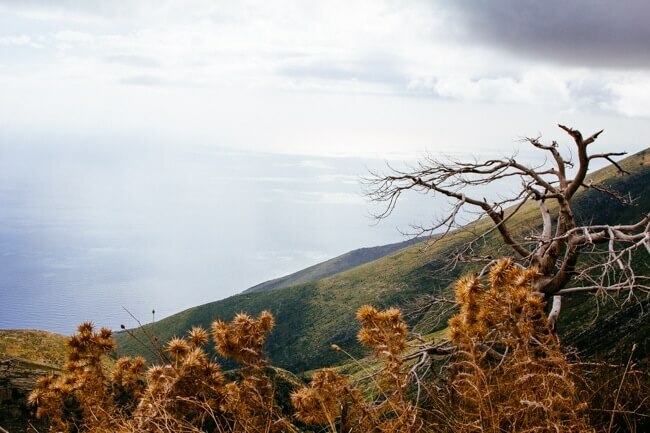 Its natural beauty, stunning landscapes, Mediterranean weather and welcoming people. Not to mention it’s dirt cheap compared to almost everywhere else in Europe. 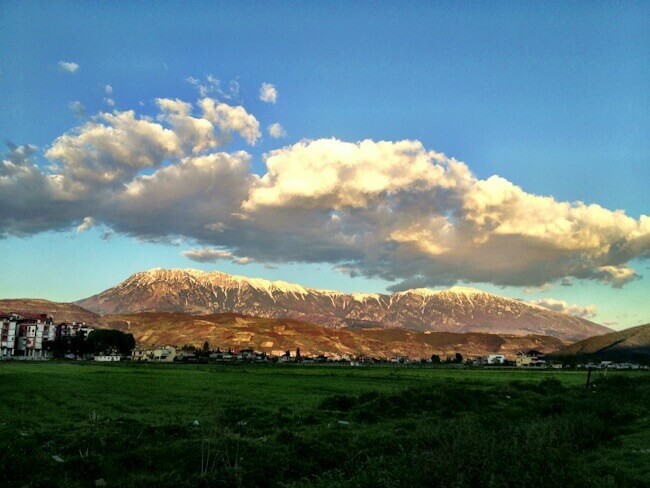 Even for city loving people like myself, Albania’s scenery will blow your mind. 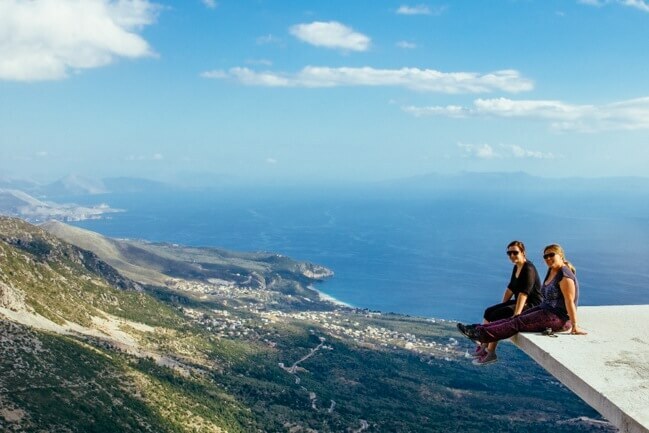 Massive mountain ranges, pristine lakes and springs and some of the best beaches in southeastern Europe, Albania is an incredible destination which deserves more attention. If you don’t know much about this small Balkan nation, here are a few of the highlights I’ve experienced after multiple trips and more than 6 months in the country. If Albania is known for one thing it’s the Riviera. Travellers from Italy, Greece and Albanian speaking countries (Kosovo and North Macedonia) have been enjoying Albania’s beautiful beaches for decades. 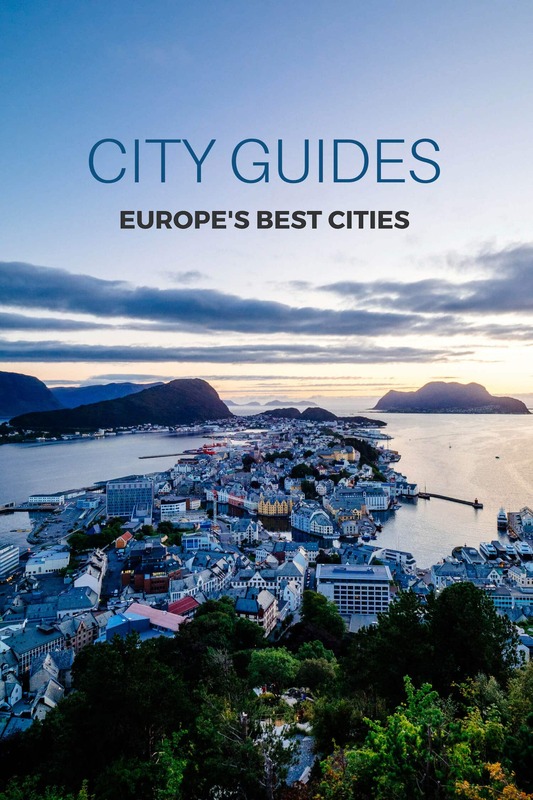 It’s about time the rest of the world opens their eyes to the natural beauty which rivals that of neighbouring Greece, Montenegro and Croatia for half the price. 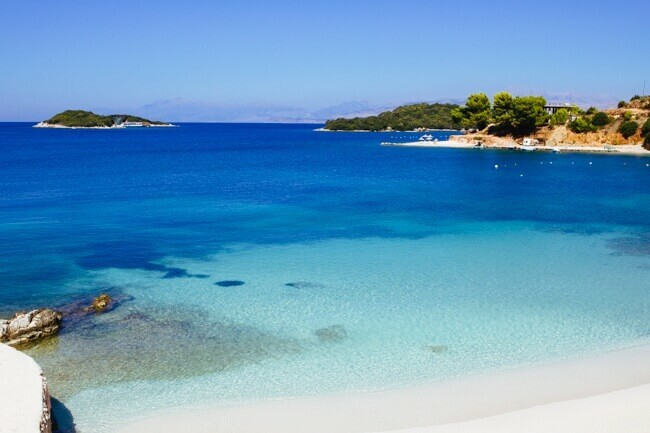 Ksamil, Himara, Borsh and Dhermi beaches are great getaway destinations, especially if you avoid the crowds in July and August. In September you can have the beach and surrounding sights almost to yourself and in my opinion, it’s the best time to visit Albania. 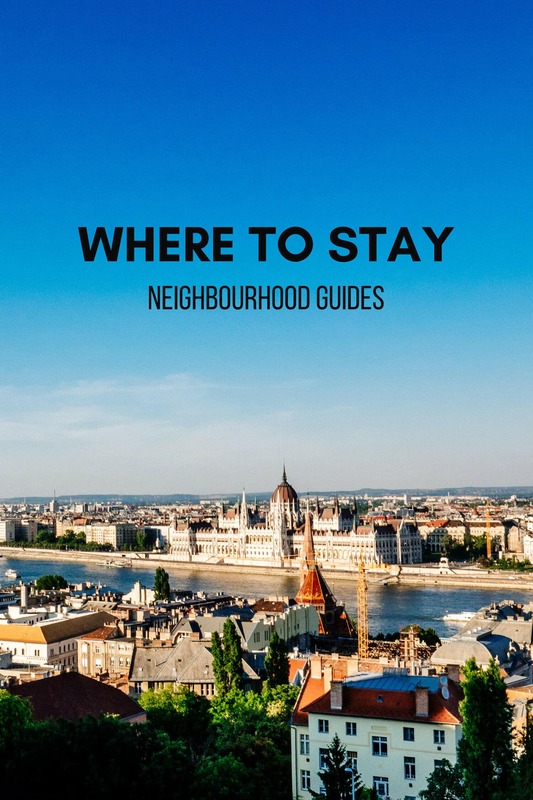 Read my popular guide to where to stay on the Albanian Riviera and in Saranda. 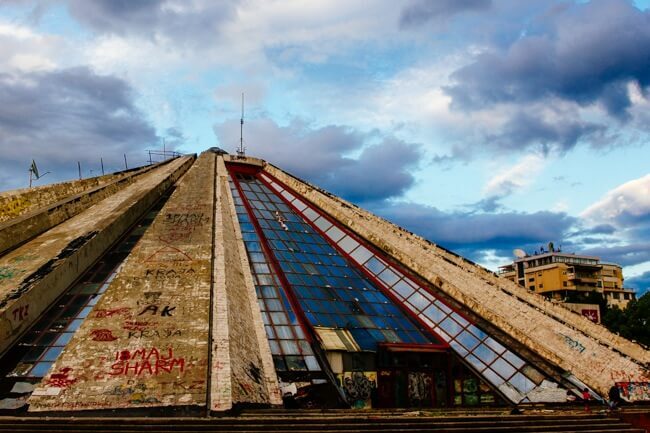 Travel tip: Look out for Albania’s infamous bunkers which are scattered around the country. A throwback from Communist times they are particularly evident in the coastal and border regions. Many have been painted and some repurposed into shops, cafes and even homes. 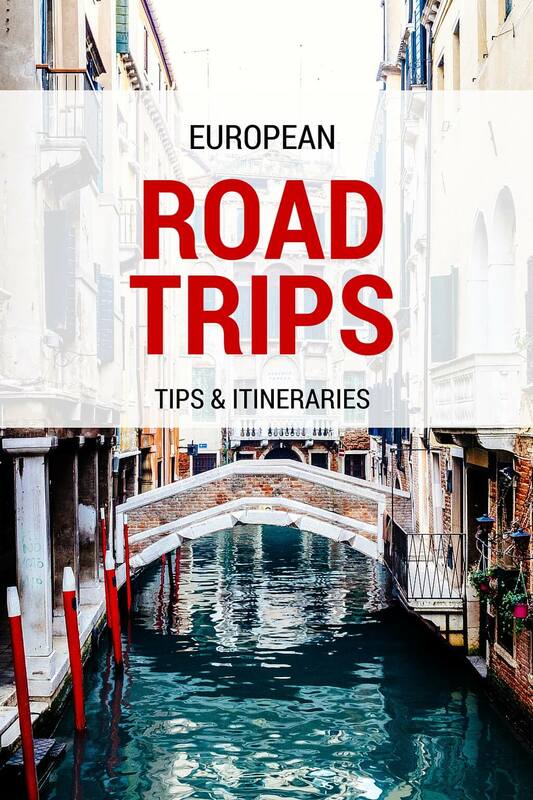 Travel tip: Drive carefully along the coast as many areas lack safety railings and there are numerous spots where the road has fallen away due to earthquakes. Goats crossing the road is a common sight along the coast. Be prepared to stop quickly! Walking through the ancient city, it reminded me of Rome and parts of Athens which isn’t surprising as much of the Butrint you see today was built by the Romans and Greeks. The theatre provided entertainment for the residents who shopped in the market place and socialised at the great basilica. They were protected from invaders by massive city walls and an acropolis on the hill. 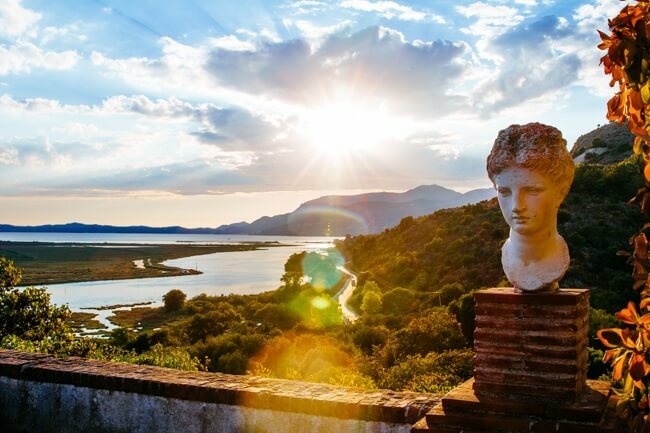 Travel tip: Try to organise your trip to Butrint in time to watch the sunset over the Greek island of Corfu. 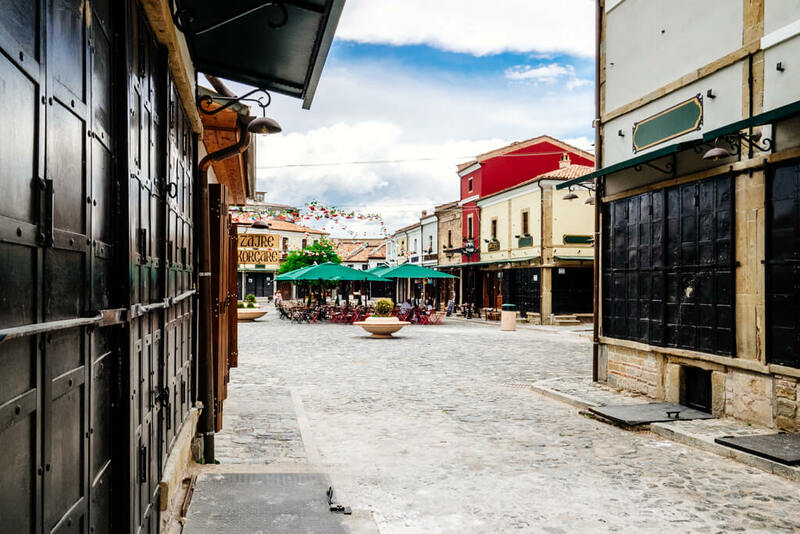 In the east of Albania you’ll find the very pretty city of Korca. It’s located not far from Lake Ohrid and even closer to Lake Prespa. Few people make their way to Korca due to its somewhat remote location. It’s not really close by or on the way to anywhere else but it’s an interesting city and unlike most other cities in Albania. If you’re on an extended trip in Albania, I’d definitely recommend visiting and include day trips to the lakes, national park and one of the local agrotourism farms. 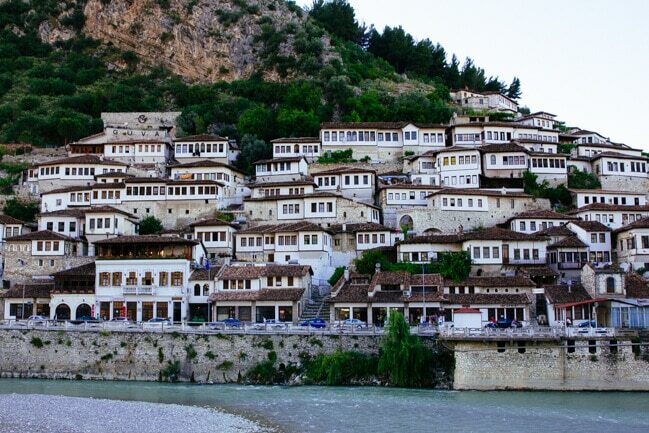 The grey slate roofs of Gjirokastra’s Ottoman houses give the city a muted look not seen in the rest of the country. 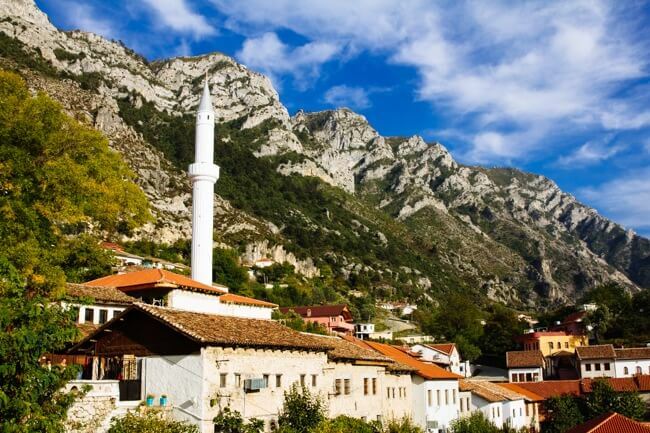 It’s a historic UNESCO listed town surrounded on all sides by stunning mountain ranges. A visit to Gjirokastra Castle with its captured US spy plane and unrestricted views over the valley is a must as is wandering the winding back streets. 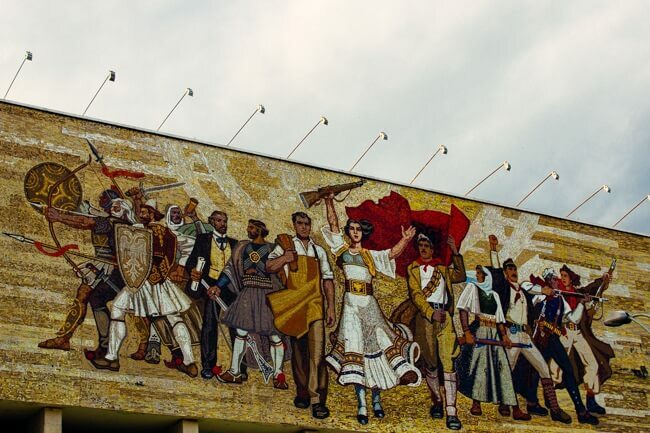 Albania’s former dictator Enver Hoxha and acclaimed writer Ismail Kadare both left their mark on their hometown, one of the most interesting cities in the country. If you dare, take a side trip to the mafia controlled village of Lazarat. Travel tip: I visited Gjirokastra on a day trip from Saranda but I regretted not having more time to visit. 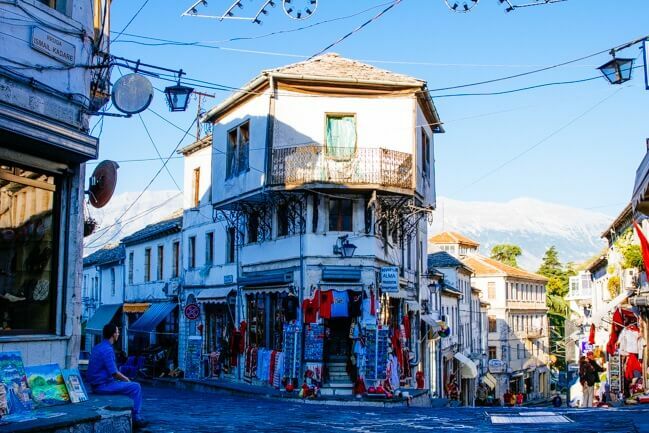 It’s worth basing yourself in Gjirokastra for a few days to explore the region and try a few of the local restaurants. 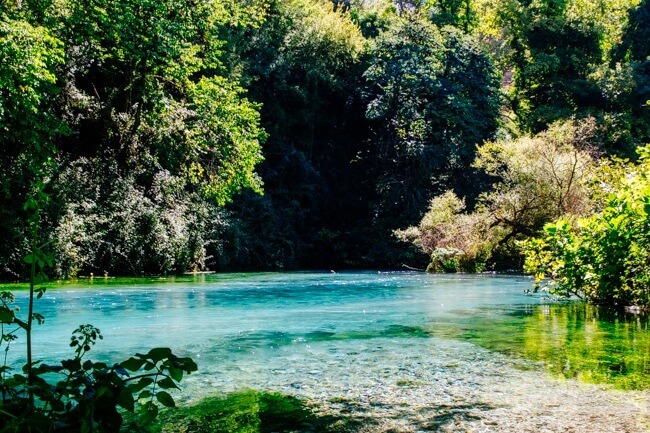 Travel tip: An unexpected oasis in the middle of nowhere, don’t miss the sign for the turnoff on the highway half way between Gjirokastra and Saranda. Be prepared to pay a small fee to enter the national park. 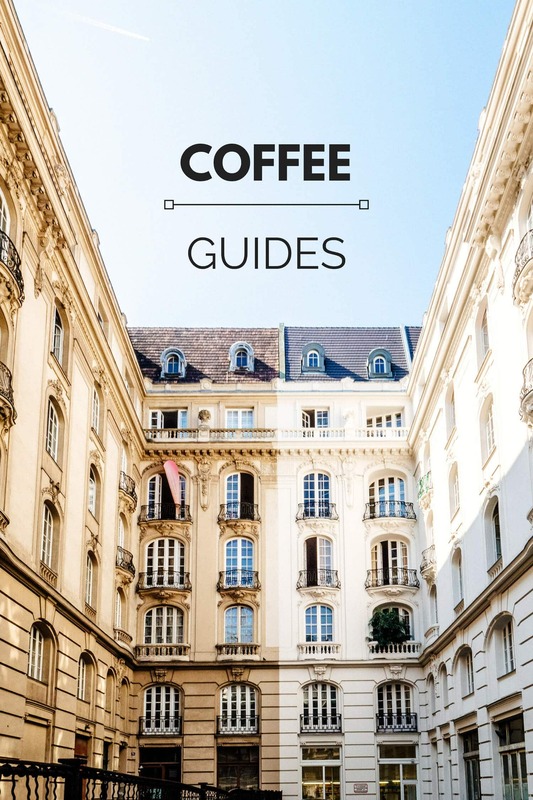 Read my new Tirana city guide to help plan your visit. 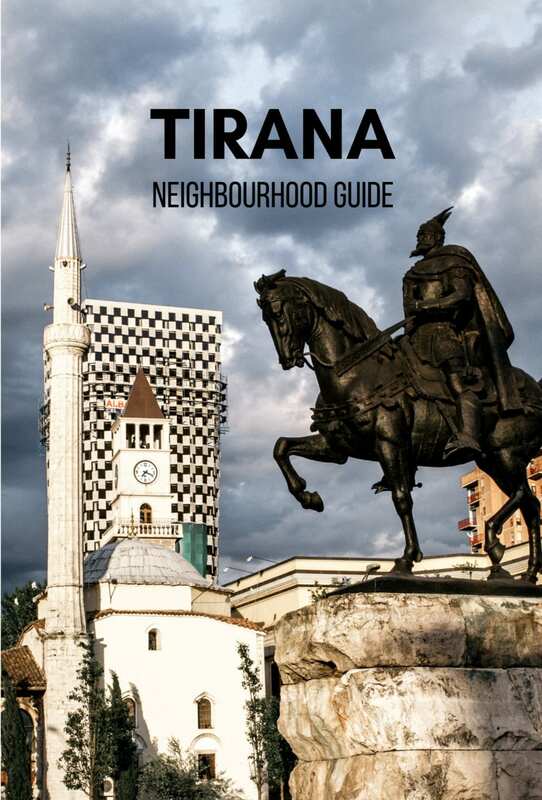 Discover the city’s central neighbourhoods and where to stay in Tirana in 2019. 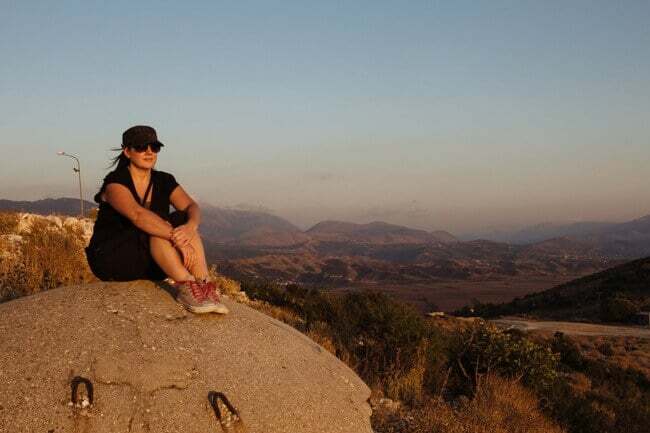 A couple of years ago I hiked Albania’s famous Via Egnatia. This is an old Roman route that takes you from the coast at Durres to Istanbul in Turkey. I didn’t walk the entire way but I did do the Albania section from Durres to Ohrid in Macedonia. At the time, the trail was unmarked and as far as I know, that’s still the case. It makes the trail particularly tough and without the GPS tracking points (which I got from someone in the Netherlands), I wouldn’t have been able to do it. 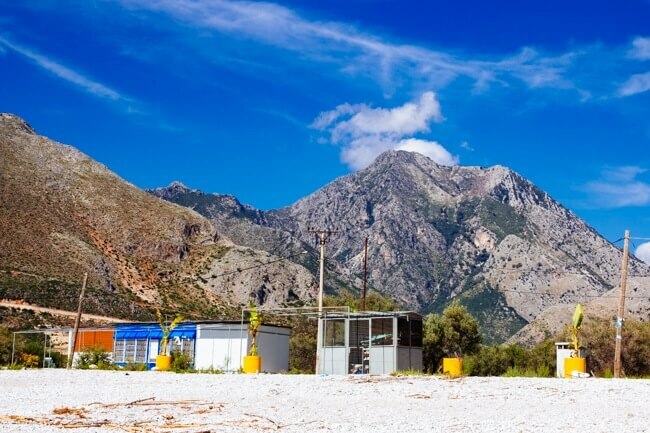 I will be writing a full guide to Albania’s Via Egnatia in the future, hopefully shedding some light on this little known route through the mountains and remote villages in central Albania. 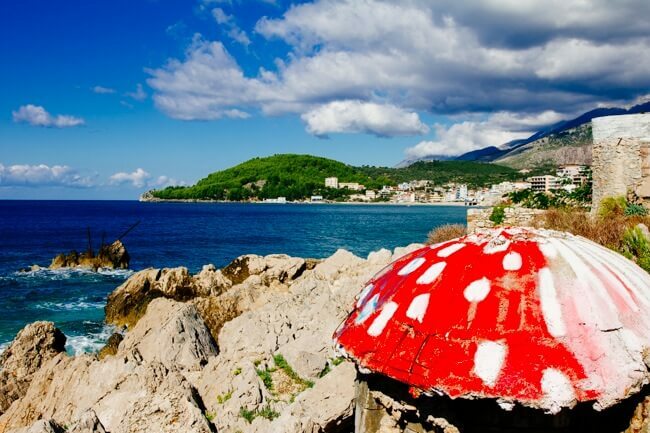 Albania is one of the cheapest countries in Europe and it is finally getting easier to visit. Albania now has a couple of budget airlines flying into Tirana and even though flights are still relatively expensive, at least there are now a few options. Wizzair, Norwegian, Blue Panorama and British Airways all have cheap flights to Tirana although not all year round. Flying routes are still limited so check for cheap flights to Kosovo, Macedonia and Montenegro as well. 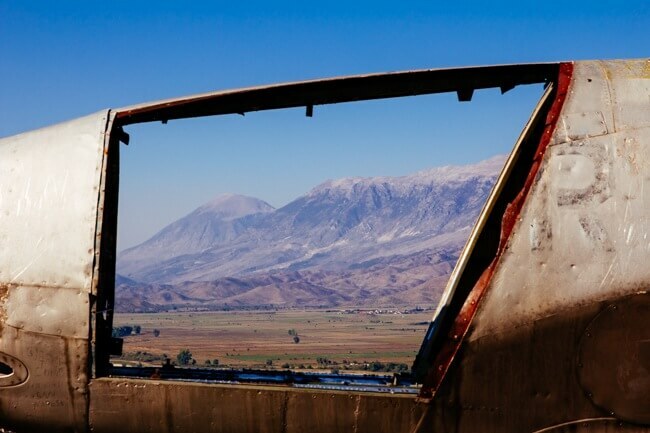 Crossing into Albania by road is usually painless although there can be long waits at the border in the summer months. If arriving from Montenegro you can cross the border via Ulcinj or Podgorica. I think Ulcinj is a nicer drive although I’ve heard there is a new road from the border to Shkodra which should make the Podgorica route faster. Albanian cuisine is a mixture of Balkan, Mediterranean, Greek, Turkish and Italian cuisines. There’s a lot of grilled meat, pizza, pasta, soups and salads plus fish in the coastal regions. 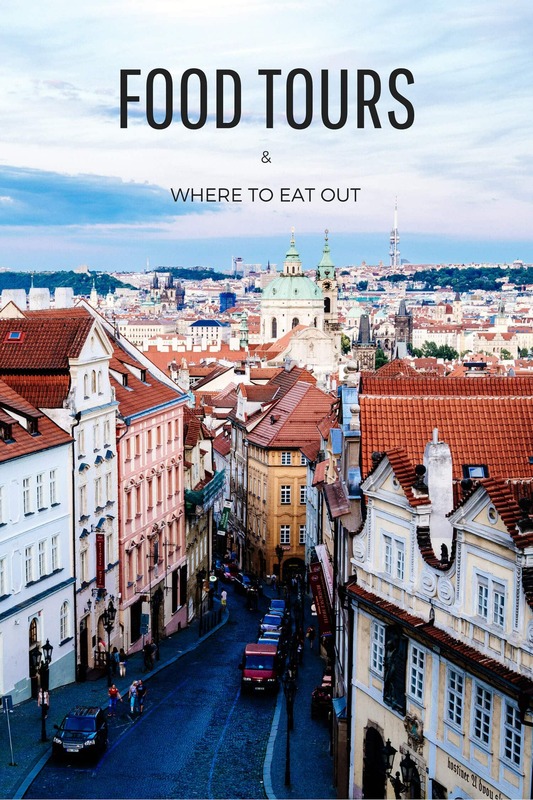 The food is generally tasty, especially in the country, but not particularly interesting and not at all inventive. I’ve spent a lot of time in Albania but there is still so much more to see. 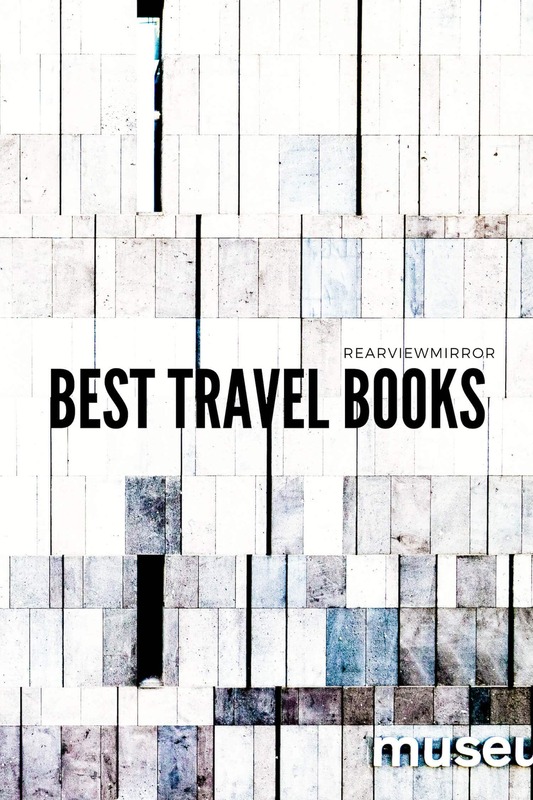 If you are looking for more places to visit try some of the following which have been recommended to me by the locals. Theth and Valbona – a pristine mountainous area in the north. Apollonia – the ruins of an ancient Greek civilisation not far from Fier. 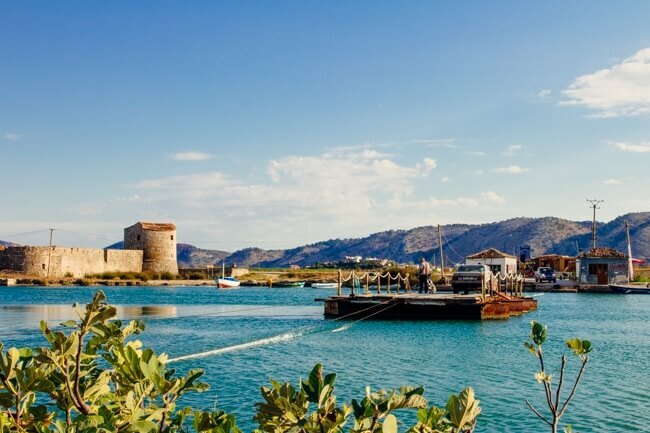 Divjaka – known for its sandy beach, coastal forest and lagoon. If you have any questions regarding travelling in Albania, join our Facebook community group or message me on Instagram.